Thinking it Through and Primarily Play have some great ideas on how to prepare your learning environment for this September. As I prepared for my students last September in a newly renovated space, it was difficult to picture how the room should look. Not only did I need to select suitable furniture that was purposeful, but create spaces where students could gather and engage in various centres. What I also needed to consider was that my students eat snack and lunch in my classroom so I needed to have enough furniture for that as well. The furniture had multiple purposes! Over several days and several discussion with my ECE partner, we moved furniture and carpets into different work areas. As centres do change throughout the year, for the beginning we had set-up the House centre, a Block centre, a Science centre, the main carpet area with a shelf of various toys like Lego, small foam and wooden blocks, cars and ramps etc., an Art centre, Music centre, Math centre and a reading shelf (which we later changed and are continuing to change!). We kept the materials to a minimal for the first few weeks of school so we could practice with our students rules and routines, and slowly add as we learning more about them. 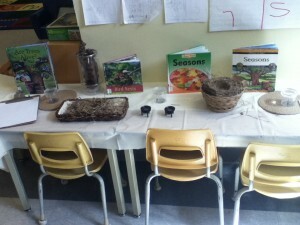 Items within the centres had purpose and were organized to engage the students in their new environment. 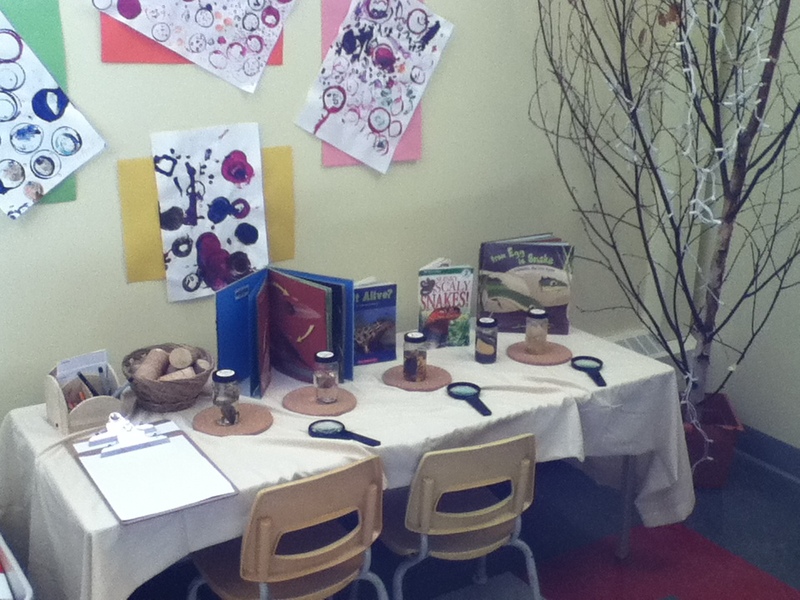 Next we worked on clutter! Whatever we did not need we found a storage place elsewhere in the building and we talked both to the principal and janitor to find the space. Between the two Kindergarten classrooms we worked together on sharing equipment and toys. Keep in mind this is not an easy task to complete in one day and you for sure will make changes as you see fit throughout the school year.